Bull beef finishing systems often consist of barns full of dairy Friesian crossbreds, not suckler-bred South Devon cattle. But Scotland-based Richard Newbould is specialising in producing South Devon bull beef, and making a tremendous success of it, too. 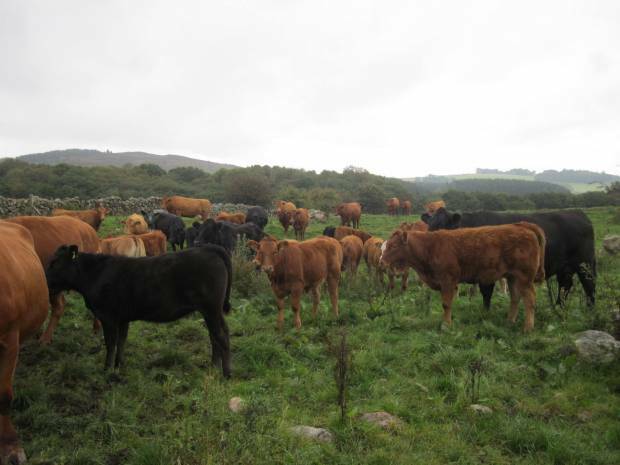 Richard’s family moved to Meikle Cloak farm, Dalbeattie, Kircudbrightshire, 26 years ago, and have been finishing bull beef there since 1995. Having relocated from Lancashire, the former dairy farmers used Continental crossbreds for a long time. But Richard introduced South Devon breeding in 2002, when he bought his first South Devon bull. 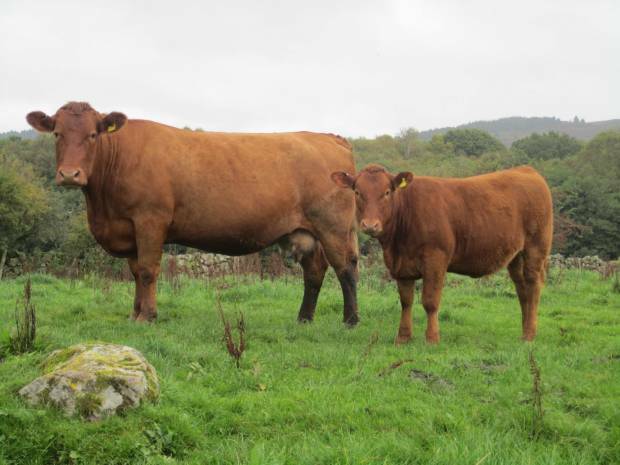 Richard uses his South Devon bulls on Limousin x Friesian or Angus x Friesian suckler cows, and is increasingly moving towards a 75% South Devon cross with the resulting heifers. 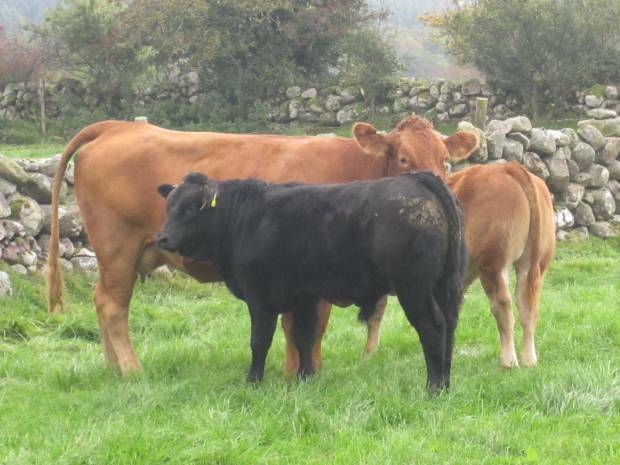 This year he will be calving 90 females, 75 of which are South Devon crosses. From August onwards, Richard offers creep feed to all the calves at up to 3kg a head, and then weans them at the end of October when they are loose housed on straw with ad-lib grass silage. The 10-12 heifer replacements are given 2kg of cake over the winter, and grazed over the summer, having gone to the bull from 1 July. Bull calves are kept entire, and fed 5kg of creep feed a day from weaning until January, increasing to 10kg before finishing indoors at 13-14 months old.